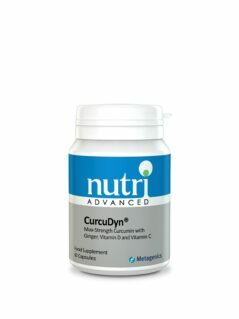 View cart “CURCUDYN® By Nutri” has been added to your cart. • A powerful collection of enzymes and supporting nutrients geared up towards reducing inflammation, promoting healing and internal cleansing, blood pressure reduction, arterial cleansing and lung support to name just a few benefits. • Serrapeptase – The Serrapeptase content per dose is 40,000IU to give a greater anti-inflammatory effect while clearing inflamed dead tissue. • Grapeseed Extract – A concentrated source of oligomeric proanthocyanidins (OPC). These anti-oxidants help protect cells from free radical damage and also promote healthy circulation. • Pycnogenol – One of the most powerful supplements with a history of well-documented research. Pycnogenol is known to help lower blood pressure. It is made from the bark of a white pine and contains powerful antioxidants useful for the strengthening of blood capillaries. Research confirms that Pycnogenol is 50 times more powerful than Vitamin E in its antioxidant properties and 20 times more powerful than Vitamin C. Pycnogenol in particular has been found to be exceptionally useful for fighting against capillary fragility and varicose veins, diabetic retinopathy, swollen legs and other inflammatory conditions in veins and capillaries. • Vitamin K2 – (as menaquinone-7), studies have shown this helps clear blockages in the arteries and prevent bone degeneration. • Policosanol – Research has shown Policosanol helps to lower cholesterol in the body reducing cholesterol levels by a complex mechanism. It reduces your total cholesterol mainly by reducing your LDL-cholesterol (bad), which is the dominant kind in your bloodstream. At the same time, however it increases your HDL-cholesterol (good), which exists in smaller amounts. It also reduces your triglycerides (fats). Contains: Rice bran, Hydroxypropylmethylcellulose enteric coated Serrapeptase, Cellulose and Water (vegetable capsule). Contains Nattokinase extracted from Soy. 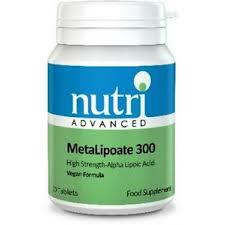 Take 2 capsules twice daily 30 minutes before food. 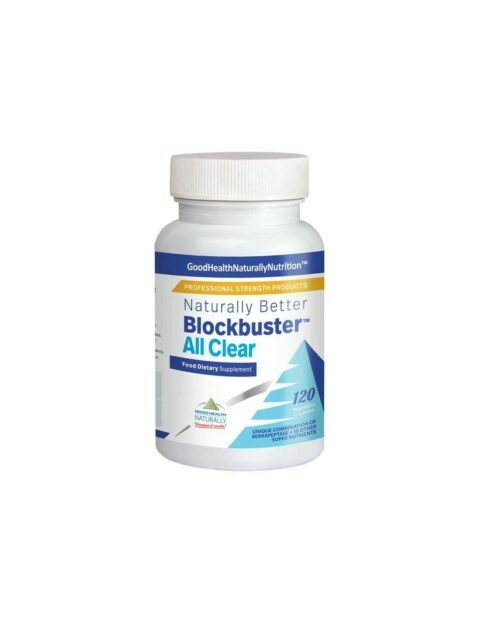 Blockbuster AllClear contains ingredients that may dissolve blood clots. This is normally beneficial, but in certain conditions may be harmful. This product should not be taken if you suffer from: A blood disorder that affects the ability of the blood to clot e.g. Haemophilia. A stroke which has resulted in intercranial bleeding in the last 6 months. Haemorrhoids (piles). Recent surgery or trauma.